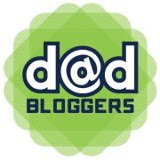 A Word to Mom | Daddy's in Charge? OK moms I have officially had it with you. You think you are so cool with your little heart shaped pancakes and your ability to match your kids socks. Well I am here to say that you are not all that you are cracked up to be. A recent Dadlogic study found that a full 93% of stay at home moms do the weekly grocery shopping. What the lazy other 7% are doing I have no idea, but I will tell you I thank them for staying home. 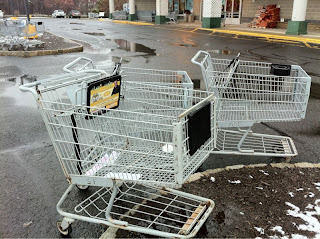 During a recent visit to the grocery store I found scenes like this all over the parking lot. Since I did not see one man in the store, aside from the guys stocking shelves, I have to assume that women are too lazy to put the shopping cart in their little corral. Nothing gets me more annoyed than having to slalom around these things to find a parking space. The spaces are for cars not shopping carts. I don't want to see them on the curb and I certainly don't want to see them next to where I finally am able to park my car. It's utter laziness by you moms. Oh but you can get away with it because you are shopping for little Jimmy and his sister Sally. If they don't get their Poptarts the world will end. 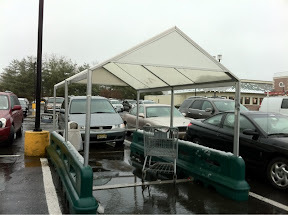 Why do they even bother having a little area to park the carts if moms are not going to put the carts there? See the one cart in this picture, that is mine. My cart is not taking up space in the parking lot and is certainly not bumping into peoples cars. 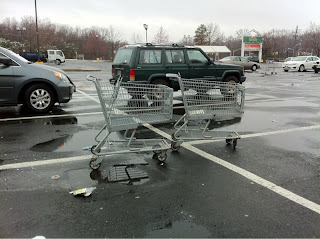 The same Dadlogic study found out that 98% of all the stupid little dents on your vehicle are caused by shopping carts that run astray at the grocery store. That is a pretty high percentage and one the you moms should be ashamed of. It was raining today and that only makes it worse. Someone has to gather all these carts up and it certainly is not a mom. I know that you are in a hurry to get home and watch The View and bake a pie, but next time you are at the store do us all a favor and instead of buying that shamrock shaped sandwich cutter, take that time to get your cart out of the way. OK - Wow - was that meant to be as harsh as it sounded? Moms are not the only people who shop! There are single people and married people without kids and elderly people whose kids are grown up and out of the house. 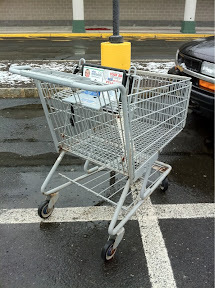 Perhaps some elderly people have trouble walking the carts back to those cart stands, at some stores they are few and far between. Please don't label all moms as lazy! This was the first time I checked out your blog and I will hesitate to do it again, and I certainly won't be voting for you. PS I'm a mom and I ALWAYS bring my cart back to a cart stand! God bless you for putting your cart where it belongs! You are one of the few good people. As for your thoughts I am sorry you didn't see the sarcasm in this peice. If you put it in context with the rest of my blog you would see that. Sorry you did not get it. Bit thanks for trying! 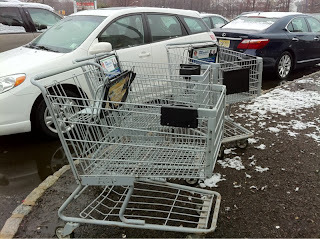 When you return the cart, what do you do with your kids? Load them into the car first, then return the cart with the kids sitting in the car? Or do you put the stuff in your car with the kids still in the cart, bring the kids and the cart to the corral, leave the cart in the corral, and carry the kids back to the car? I'm always torn about what to do, maybe that's why they are always left in the parking lot, b/c parents don't want to leave their kids in the car unattended? With a newborn and a 18mo old, I was never sure what to do.